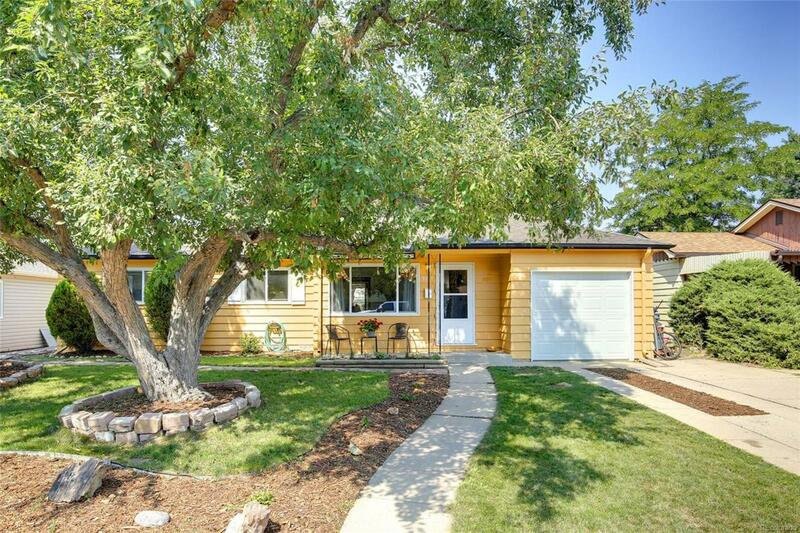 CHARMING MOVE-IN READY RANCH ON A QUIET STREET! THIS IS THE HOME YOU'VE BEEN WAITING FOR & OFFERS: TERRIFIC FLOOR PLAN W/ OVERSIZED LIVING ROOM OPEN TO THE KITCHEN & BREAKFAST NOOK*HARDWOOD FLOORS THROUGHOUT LIVING ROOM & ALL BEDROOMS*UPDATED BATHROOM W/ JETTED TUB & DUAL PEDESTAL SINKS*FRENCH DOORS ACCESS COVERED PATIO & HUGE, FENCED BACKYARD W/ APPLE & APRICOT TREES*EXTRA-DEEP GARAGE W/ WORKBENCH & STORAGE SPACE*NEWER A/C, ROOF, WINDOWS & ELECTRICAL PANEL*GREAT LOCATION: WALK TO PARKS, SCHOOL, TRAILS, RESTAURANTS & GROCERY PLUS QUICK ACCESS TO LITTLETON MAIN STREET, LIGHT RAIL AND MORE*ALL KITCHEN APPLIANCES & WASHER/DRYER ARE INCLUDED*JUST MOVE IN, SIT BACK, RELAX & ENJOY YOUR NEW HOME! CALL FOR A PRIVATE SHOWING TODAY.